Le Masurier was founded in 1835 in Jersey and remains exclusively owned by the Clarke family. Le Masurier is one of Jersey’s largest property companies with substantial real estate investments located in Jersey, the United Kingdom and throughout Continental Europe. The Group’s diverse property investment portfolio reflects a strategy of diversification and consistently delivering a growing income stream for it beneficial owners over the medium to long term. The Group prides itself on maintaining long term relationships with it’s business partners across multiple disciplines with property investment activity taking the form of direct investment, development and forward funding projects. 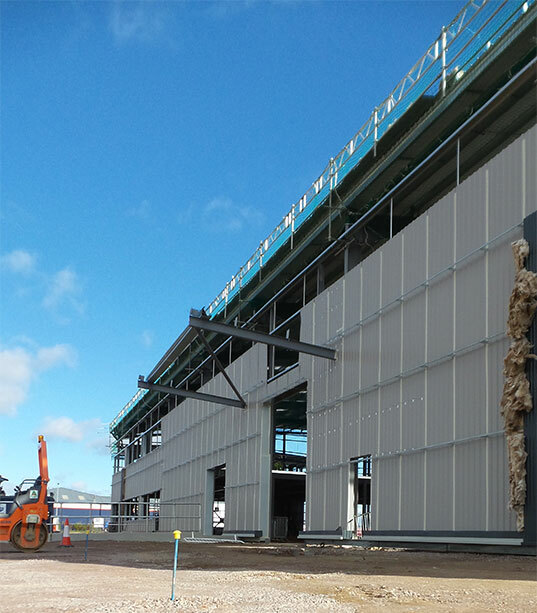 Developer Opus Land recently completed a forward funded project with Le Masurier on a £9 million, 100,000 sq ft warehouse for First Choice Catering Spares in Cannock. From the first contact Le Masurier were willing to work in partnership with us, resulting in a property development to be proud of. It was a seamless and efficient partnership and we are very optimistic that we will work together on property investment and development projects again in the future. Investec Private Banking is proud to have worked with commercial property investment client, Le Masurier, as funding partner on the significant development at Kingswood Lakeside, Cannock in Staffordshire. The £9m project sees 100,000 square feet of pre-let prime warehouse and office space completed on a 5.8 acre site in March 2017. Working with Le Masurier, Investec designed a bespoke forward funding package on a structured ‘development to investment’ basis. Investec has worked alongside Le Masurier on a number of complex and high profile real estate projects. Liberty was seeking a forward funding partner, for our proposed Marks & Spencer Food Hall development in Stone. We received a number of bids, but having met Brian at Le Masurier, it was plain to us this was an investor we could trust and deal with. All negotiations have been conducted in a very open, fair and constructive manner, which has provided Liberty with the confidence and certainty that we were dealing with a financially sound, reputable funder. We have kept Le Masurier fully advised through all the planning negotiations and procurement process and it has been a real pleasure and delight to work with an investor, with honesty and integrity. Liberty would have no hesitation in undertaking further developments with Le Masurier as our funding partner and would recommend them to other developers, as a trustworthy Fund, who can deliver.